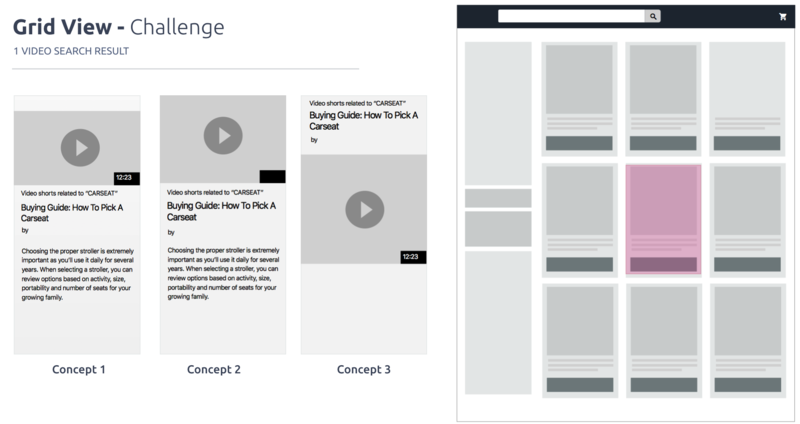 Encourage customers to continue their research with additional video content. 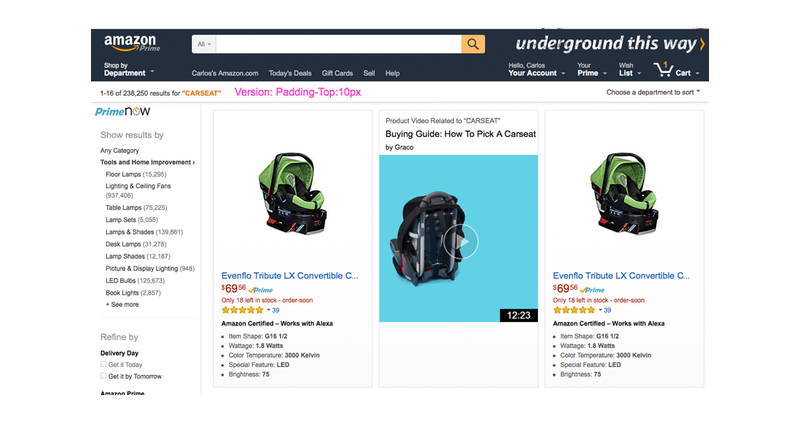 Amazon Search now features high-quality videos of product demos, reviews, recommendations, and buying guides, powered by brands, customers, influencers, and third party publishers like CNet. 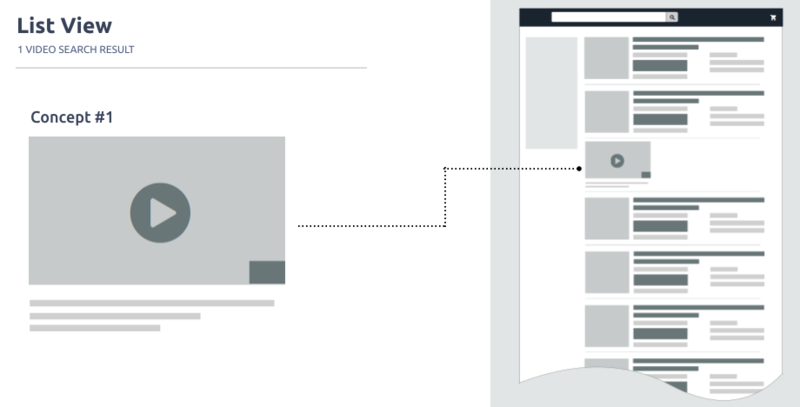 Customers want a immersive, realistic and, effortless product preview experience on search. 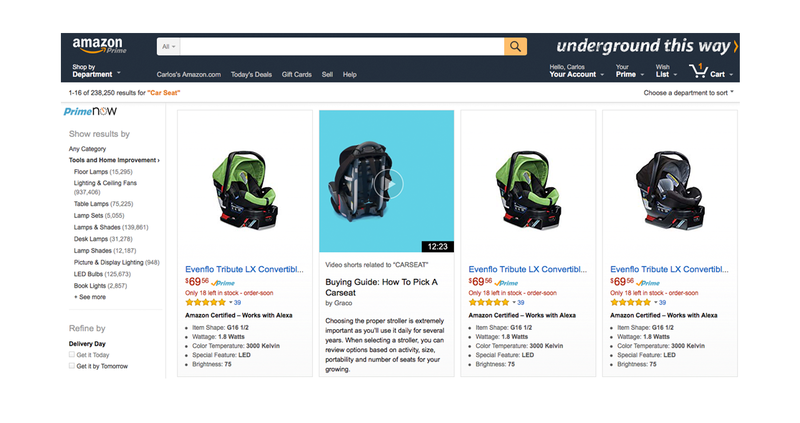 Providing a realistic product preview experience utilizing videos along with an effortless browse experience will help customers evaluate products effortlessly. 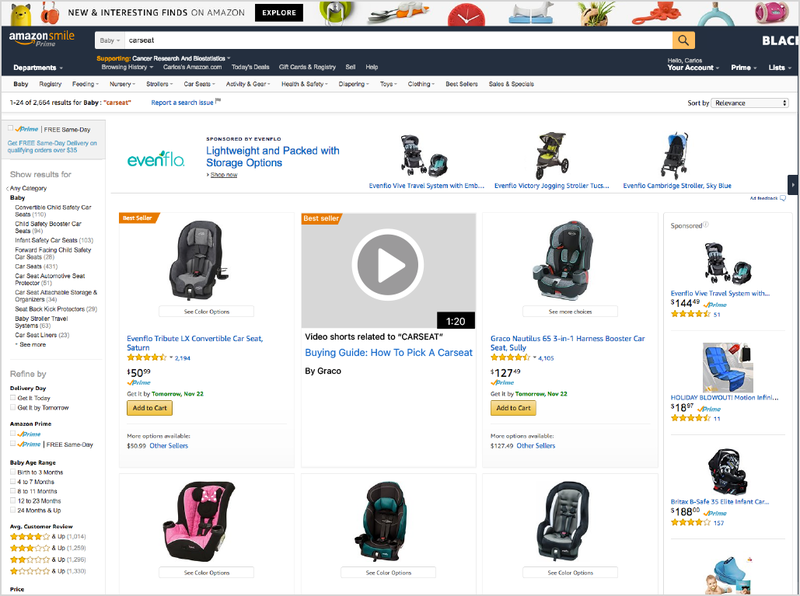 Lauren Indecisive – Lauren has been a Prime member for 12 years and spends more than $8k/year on Amazon. she streams music through his Echo at home with Amazon Music and watches an hour of shows on Amazon Video every night. She is interested in the new 5k tv system. She opens her favorite browser to search for tvs at amazon.com. 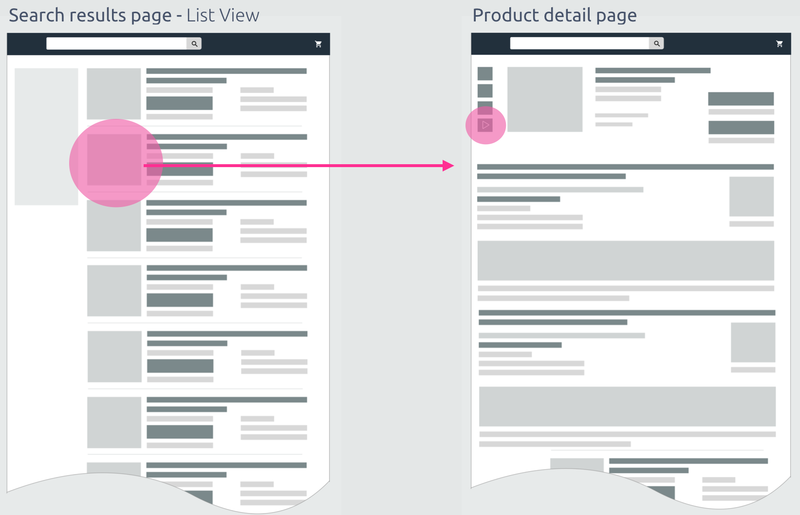 Search + Product detail UX. Customer search for an item and she needs to click on the product to be able to see what videos are available on the product detail page for reference. The Video Card will be used to surface buying guides, recommendations, how-to, product demos, unboxing, and product reviews. Utilizing the Video Card to display recommendations from authoritative sources along with Reasons to buy will help customers make confident and informed purchase decisions. 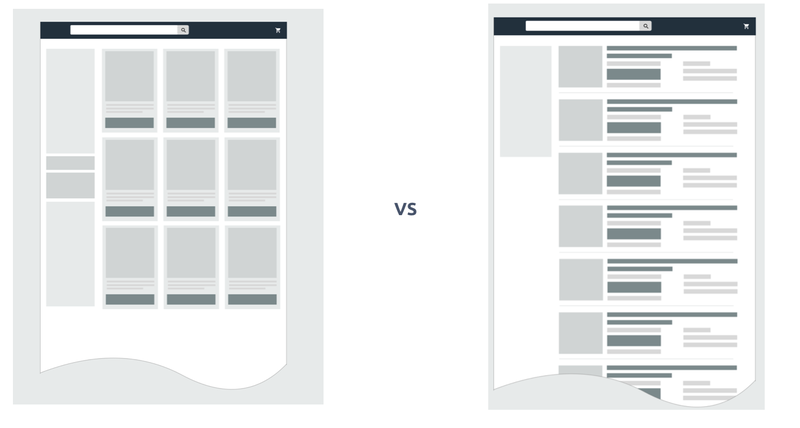 There are two types of views that users can use when displaying results on a page. Grid view and List view. Both have different real state to share for the addition of videos. 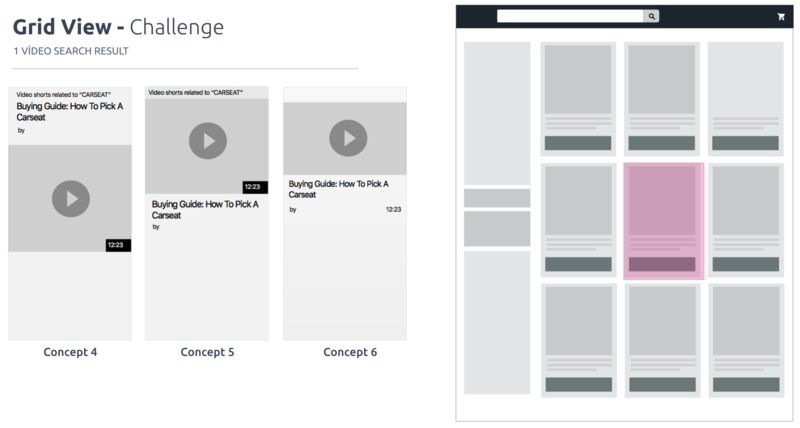 How to show ONE video result on the Grid view. 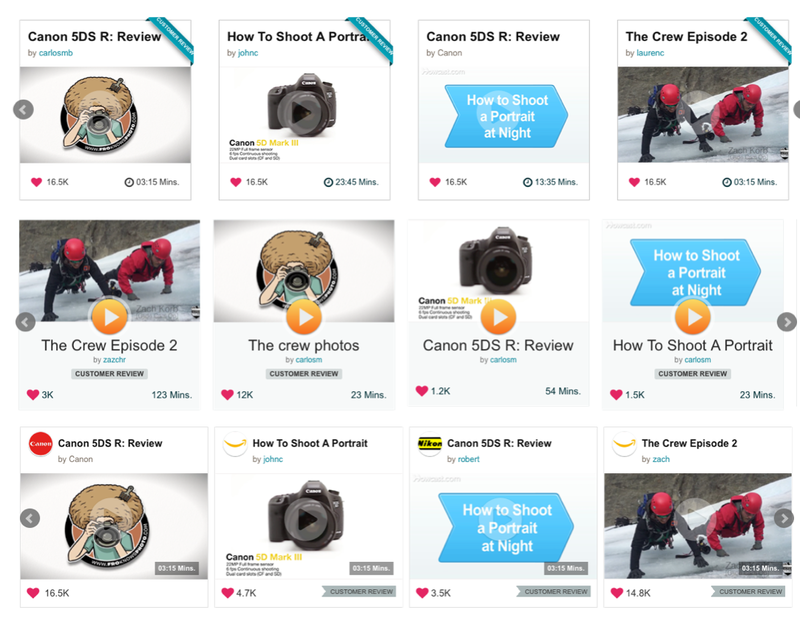 Title, duration, video provider and, of course, a very descriptive screenshot of the content of the video help users to have a clear idea of what to expect after selecting the video. Due to the extra space that the video card shows within the grid, I suggested adding some video description like in the concepts 1 and 2. 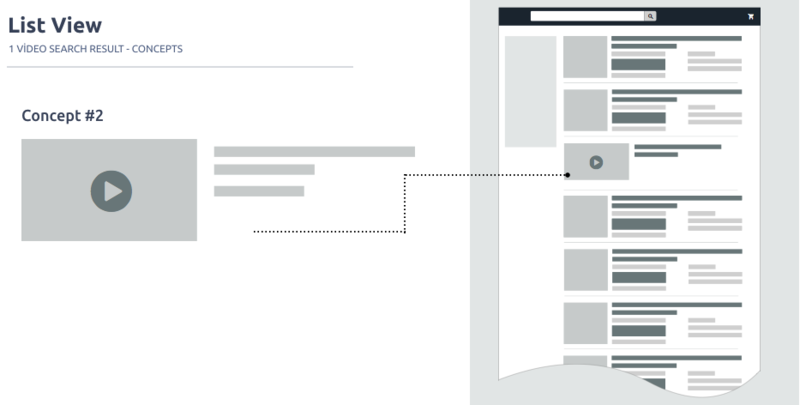 The HTML prototype exposed usability issues straight away and avoided natural omissions that are often made when wireframing. Adding video metadata to the Grid. Metadata at the top of the card. How to show ONE video result on the LIST view. 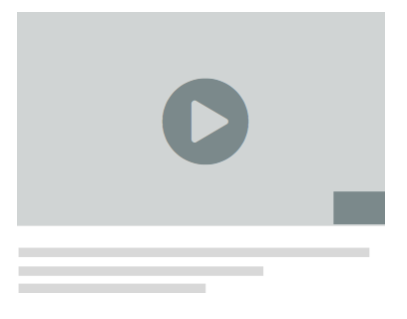 The above concept shows the location of the video metadata under the video thumbnail. I thought to keep consisted the video layout. 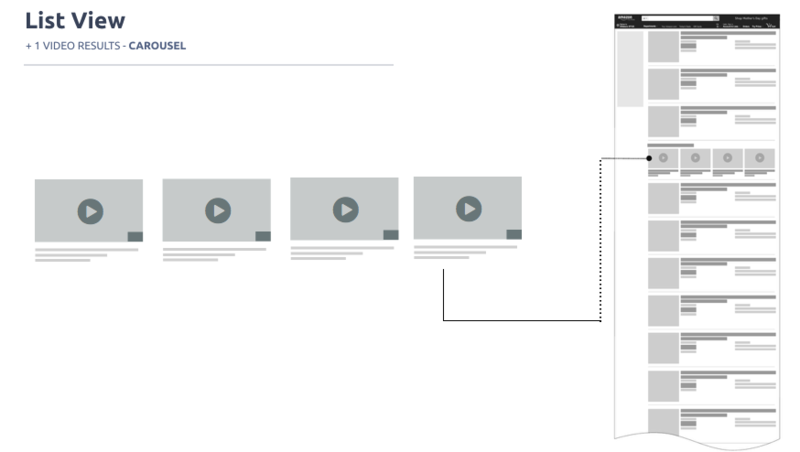 The above concept shows the location of the video metadata right to the video thumbnail. As a result, the extra space seems more "filled" with the metadata next to the video. One of my biggest UX concerns consisted of the non-so appealing video card experience in contrast to other platforms. Concepts that I run with my PM to start rolling the ball with the stakeholders. I tested the new UI with five participants, looking for usability problems. We also talked to participants about what they would use video results for, looking for what kind of functionality is needed to solve the users’ real problems. 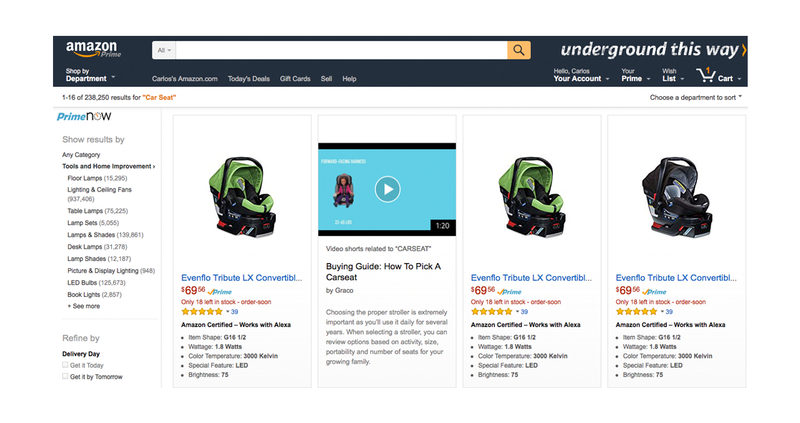 Launched experience in January 2018 for the Search Results on the List view. Detail view of the carousel. The completion of this project helped me understand and learn more about how to work with other organizations within the company.